The Pilgrim 1 is also considered potentially dangerous, with the estimated chance of earthquake damage being 1 in 14,493. 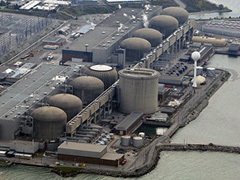 3 - Pickering nuclear power plant, ON. Although this one isn’t technically in the U.S., the state of New York should be worried about the effects of this Ontario power plant. A mild earthquake has already occurred in Lake Ontario, where a tremor was definitely felt and objects fell to the floor. If a more serious earthquake were to happen, the effects to northern New York State could be devastating. Radiation leakage is also a potential threat and the reason many Pickering home owners have sold their homes and moved to other areas. 4 - San Clemente nuclear power plant, CA. 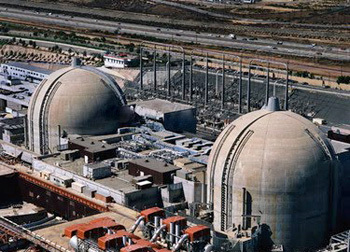 The San Onofre is the only California Coast plant to make this list. It is located southeast of Long Beach, about 45 miles away and has 2 reactors. Its damage could potentially affect some nine and a half million people. 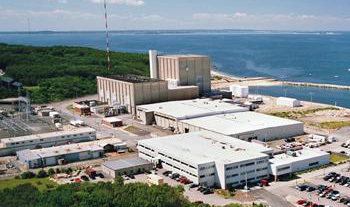 5) Plymouth nuclear power plant, Mass. The 3 Secrets the Oil Industry Doesn't Want You to Know! Posted on May 10th under Non Renewable Energy Sources.